If you want an alternative to conventional medicine that doesn't have the unpleasant side effects of some modern medicines, then why not try the herbal approach? 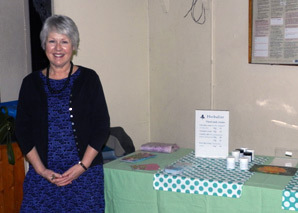 Our speaker on 28th November, Caroline Sheldrick MNIMH, is a Medical Herbalist whose medicines have recently worked very well for one of our SDG members. Plants are still the main source of medicine for 80% of the world's population. Caroline trained at degree level for four years to become a qualified herbalist. 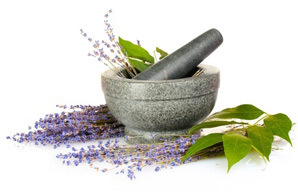 By meeting her patients in person at various practices in Nailsworth, Stroud and Cirencester, she is able to dispense herbal mixtures exactly suited to their needs and tolerances, often using five or six different herbs. Herbs can be very powerful and in some cases poisonous if used incorrectly! Safety is her main concern, and she lectures to many groups including practitioners. Many of the herbs Caroline uses are common native plants you probably have in your own garden. Garlic is commonly used in medicine; with thyme, all the above-ground parts of the plant are used for treating sore throats, coughs, irritable bowel syndrome, whooping cough and shingles. Thyme is also used to kill mosquito larvae, without poisoning the rest of us! When we think of herbs, we usually assume it is their leaves we use, but Caroline also uses the stems, roots and occasionally even the flowers. When dried, the relevant part of the plant can be infused in oil or steeped in alcohol to make a tincture. These were in use long before the medications found at your local chemist, and have less unpleasant side effects too. Medical herbalists don't profess to be able to cure everything, but offer a medicine with a Holistic approach. Caroline concluded by pointing out just how important our doctors are and that they should never be ignored if you have a medical condition.